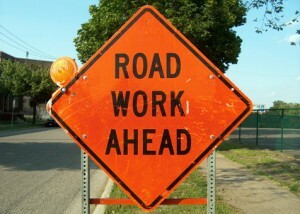 WILLEMSTAD - The road works between Wacawa and Savonet towards Westpunt have started today. That is if there is enough asphalt. The production of asphalt is lagging behind due to problems with the oil refinery Isla. Currently, it is not running at full power. If everything goes as planned, the road will be closed tomorrow too. Drivers will have to drive through Lagun, Sta. Cruz and Soto.